Sometimes it seems that the most difficult thing is to start, but so it is learning how to finish. 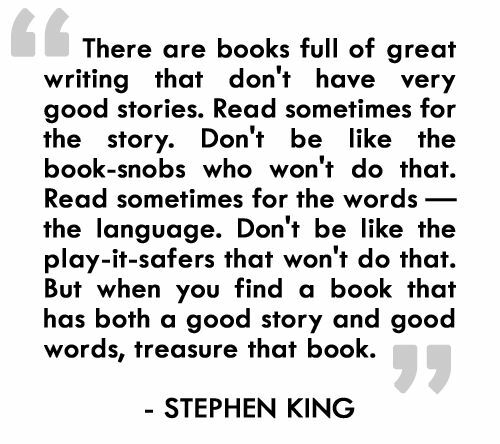 This has become crucial when writing a novel, and extremely basic, because a story without a good ending leaves the reader with a bad taste in his mouth. It's like when you watch a movie with a fantastic plot, but the outcome is meaningless. Both the cinema and the reading audience will always be impressed by the grand finale. Because we as writers can get so submerged in our novel - especially long ones - that sometimes we forget to conclude situations. For this reason, the writer must learn to close his story with a golden brooch, and for this there are some techniques that can be taken into account. The main rule to create an adequate ending is to ask yourself if the conflict is resolved. According to an article by Sinjania, a group of literary trainers, conflict is the storie's fuel, and when that fuel is finished, is when the story ends. This comes from the hand of another great advice: do not forget the protagonist, because the conflict will always prevent him/her from reaching his desires, once the problem loses strength or the character - despite not achieving what he/she wants - is released, the novel is ready to conclude. In addition, the protagonist usually experiences a transformation thanks to what he/she gets through during the plot, and when you realize if the character has already completed that change, it is possible to deduce the final time. Another aspect to take into account is to identify what kind of end do you want to create, since there are different types of them. Here we have summarized them in 10, according to an article by lifeofastoryteller.com. -The circular ending: It is the one that returns to where it started. The story develops a circular turn to get back to the beginning. -The moral ending: Here is how the character has grown during the story and how far it has come. -The surprise ending: The one that nobody expects and leaves everyone astonished. -The captivating emotional ending: Leave the reader with a feeling of sensitivity, whether happy or sad. -The reflection ending: It is the one that leaves the reader thinking, since the character realizes everything he has achieved and what he had to endure. -The cliff-hanger ending: It is very common in a novel's series, since it leaves the reader with the heart in the mouth. -The humor ending: Leaves the reader laughing or having fun. -The question ending: Leave the reader wondering what will happen next. -The image ending: It's the one that describes a scene so vivid for the reader to imagine it as it is. -The dialogue ending: It ends with a dialogue between characters. Apparently, there are different ways to write a great ending, however, everything will depend on the writer's style and the plot of his novel, since there are outcomes that are more conducive to certain types of stories, and others not. At the end of the day, a good ending will always remain in the reader's memory. Writing a book could be something so simple, but at the same so difficult. And this paradox is the one that paralyzes all the good authors at writing time, specially when they are just beggining. Stephen King, the great american novelist who has published 54 books, lived a very difficult childhood when he was trying to become the great writer he is right now. But his problems with alcohol, the car crash that he suffered and his poverty, didn't stop him. Instead, those situations motivated him to use writing as a way to learn, let go and grow up. This is why the fiction author, identified and summarized 14 advices for all the ones that want to be a writer and create a novel. 1) If you want to be a writer you must do to things above all others: read a lot and write a lot. There is a big difference between read and write, but the second can't live without the first one. A good writer is aware that reading is what nurture his language, style, cultural background and liberation when he writes. 2) Stories consist in 3 main parts. -Narration, which takes the story from point A to point B. -Description, which creates a sensitive reality to the writer. -Dialogue, which gives life to the characters through the dialogue. 3) The situation always comes first. The characters, flat and unfeatured to begin with, come next. With this King meant that the trama is always the main thing. First, the author needs to know how the situation will develop, the characters can be describe next. 4) Whether it is a vignette of a single paper or an epic trilogy like the Lord Of The Rings, the work is always accomplish one word at a time. Do not focus in all what is left to tell and write, neither in the result of your story. Just focus in the now. The word you are writing at that exact moment is the only one you have. 5) The most interesting situations can usually be expressed as a "what if" question. When you don't know what to write about, ask yourself something that you feel curious to know. "What would happened if when we die we reborn in this same life?" 6) The best stories always end up being more about the people rather than the event. In a novel, the characters are the ones that make the story rich. Their description, dialogue and problems make the trama to come alive. 7) With a passive verb, something is being done to the subject of the sentence. The subject is just letting it happen. You should avoid the passive tense. 8) Talk whether ugly or beautiful is an index of character. For Kind the most important thing isn't if the novel's tone is agressive or profane, but in the way it sounds in each page and ear. 9) Description begin's in the writers imagination, but should finish in the reader's. When you write a story the most important thing you should do is to describe everything in a such a creative and detailed way that the reader has no option but to imagine it like a movie. 10) The road to hell is paved with adverbs. Choose wisely the adverbs you will use, according to the "how" and "why" you want to tell. 11) Never use "emolument" when you mean "tip". Don't use the most unknown or difficult words. There aren't a good option all the time. Neither the long sentences. The best writers are the ones that say what they want without having to beuatify their texts to much. Concise and direct. 12) Set a daily writing goal. As with running and it's kilometers goal, be best to set a realistic goal at first. King suggest to keep it low at the beggining like a thousand words a day. When it turns into a habit then increase your words. 13) Call that one person you write for ideal reader. He or she is going to be in your writing room all the time. The thing that nourishes a writer more is the people that reads him. Is their feedback and their way to tell you if your story is reaching its objetive. 14) If you can do it for joy, you can do it forever. Becoming a writer isn't easy. At the beginning isn't even well paid, but thanks to the technology and digital platforms for writers and readers -like Inspired, Bubok, Wattpad, Medium, etc- we are being exposed to the world and to a community that is becoming more visible. Improve your writing. Use the correct tools. Get creative. Start your stories. And bloom. Take advantage of digital platforms, they are helpful when crafting storytelling and making it flow naturally. Inkspired is one of them. It gives you the possibility to get published for free, without needing an agent, and it provides feedback and metrics about your audience and progress. Inkspired’s platform has become the home for emerging writers. It is a useful tool that can help you in the writing process. Sometimes we have the talent, the ideas, the stories, but we don’t have that ‘extra’ help that supports our writing or know-how to get published online. In this platform you can find an instrument to do it and to become recognized without the need of being a bookstore. Everyone can find in this tool plenty of benefits. These are some of them. 1. Publish serially: You can publish your stories since day one. You don’t need to wait until you have finished the book, you can publish it like a novel week by week or month by month, and the positive aspect is that your readers will be connected with your updates. 2. Intelligent text editor: You can personalize your stories as you wish and keep them save in this interface, so don’t worry about them getting erased. There is also a word count tool and estimate reading time. 3. Win money by doing what you love: Inkspired gives you the option to receive contributions for your writings. If people like your story, they can donate you any amount of money they want. 4. Get feedback and statistics: Our reader’s point of views matter. On Inkspired you can get comments in every chapter and also you can post comments in other stories as well. This will help you to be in contact with the writing community and improve your style. Also, you can check how many people have viewed and read your story. 5. Add reviewers: If you don’t feel like publishing yet, you can also ask for your closest friends opinions with this tool and they can leave you tips and comments to publish the story. 6. Choose a cover: There is the option to create your own cover. You can either design it by yourself and upload it or choose one from Inkspired’s cover samples. 7. Manage your content at any time: One of the treasures of being online is that you don’t have to limit yourself to publish something and then, not being able to edit it anymore. On Inkspired, if you want to change something that you have already published, you can do it without a problem and as many times as you desire. You are in control of your posts. 8. Share: You can share every chapter of your story in social network and with everyone you want. 9. Easy to find: Use strategic hashtags in your story and also a good description, so readers can find you in their web search. 10. Notifications for you and your readers: You will have automatic notifications when your deadline is coming for you to publish a new chapter. With this you will gain continuity with your reading community, who also will be notified when you publish something. The future is digital, and for everyone. Even for writers, who can control their own future with their fingertips. Once upon a time, you were demanded to publish a physical book in order to become a real author, but with all the progress on the digital publishing space, that isn’t longer necessary. But why should I switch? Digital publishing is easier, faster, and cheaper and you can reach million of readers and followers throughout the world; you are not limited to a physical space on a library anymore. Everything is getting online. The concept of being an author has expanded along with the possibilities of endless opportunities. You no longer depend on an agent or bookstore thanks to the digital community; you can do it by yourself. By having readers from all parts of the world, you can get into the international markets immediately, test them, unlike when you publish your books in the traditional way, in which you should first get into the national bookstores and then, if it goes well, you can expand your frontiers. By having no barriers; you can easily be recognized among the writing digital community as a: blogger, journalist, fiction writer, editorialist, creative writer, inspirational, among others. You get a brand and a name, and take advantage of the social media to make yourself recognized. If you are successful in doing that, you score a goal. Another positive aspect is the time required to publish. The digital way, is very fast and effective. There is no waiting to print pages or long process corrections. If there is a correction, you can do it right away, even if your story is already published, and you don’t have to pay more money for redistribution. There are even publishing platforms like Inkspired, Medium, Wattpad, etc, that have been created for that specific purpose. They are the publisher that you need, and mostly all of them already have a reading community within them, so if you decide to publish stories in any of them, it’s almost guarantee that people will read you and most importantly, connect. The content you create is now multi purpose. Distribution becomes platform agnostic, faster, more flexible, and even free. You can reach totally different places at the same time, because you can publish it in multiple platforms or blogs or even social media. As we said in one of our latest posts, when you already have a community that follows you, and a fan-base, you become even more attractive to agents, publishers and people in general. It’s time to change people’s mind about what a writer really is. Society still thinks that an author is good only when he/she has published a printed book, but that concept is old fashioned now. Nowadays, there is a huge amount authors that write only on digital platforms or blogs and are excellent in what they do. The famous E.L. James, who wrote 50 shades of Grey, is one example of this success. She started with self-publishing in some fan fiction sites and later with an e-book. Other examples are Huge Howey with the Wool Trilogy, Amanda Hocking with My Blood Approves series and Trylle Trilogy, and Kristel Ralston, an ecuadorian author-entrepreneur who built her own writing career around digital publishing platforms, and now is totally dedicated to writing, publishing an average of 4 books a year. Remember, digital content travels faster and longer than printed words.